Girton Adams was founded in 1909 by Lee Girton and his financial partner Mr. Adams, both of whose names are represented in our company name today, as a tribute to the successes of our business for over a century. Over the past 100 years we have grown and evolved, modifying and adapting our services to best meet the demands of our customers. We’ve gone from harvesting blocks of ice from the Sioux River for horse-drawn carriage delivery, to mass-producing and distributing pure, high-quality ice cubes in state of the art ice machines and delivery vehicles! The heating portion of our business has also evolved, from selling coal to heat individual homes to where we stand today: a dedicated team of professionals providing and maintaining commercial boilers and burners. 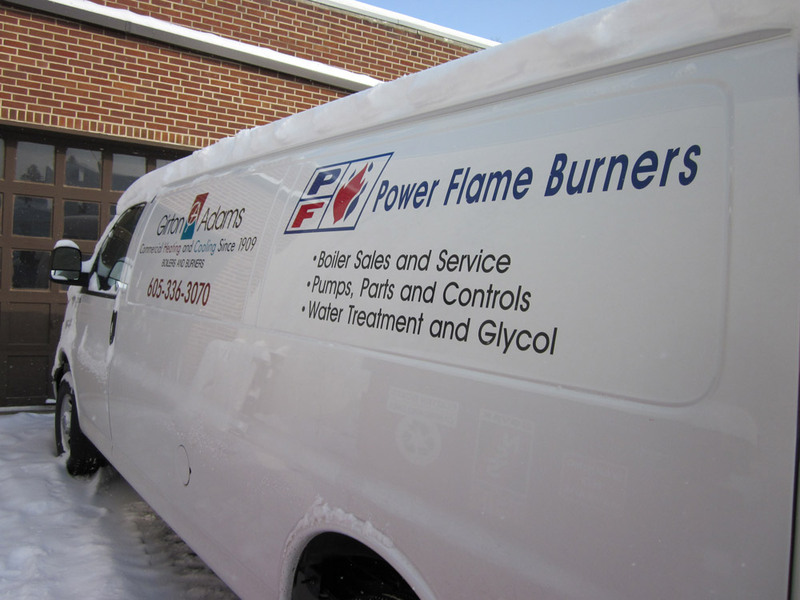 Today, we’re seen as the most reliable and expeditious boiler service in Sioux Falls, SD, responding to the heating needs of our many customers including schools, airports, prisons, courthouses and hospitals throughout the Midwest. From water treatment for high and low pressure steam boilers, to being your source for inhibited ethylene glycol and ethylene propylene, we do it all to a level that’s unmatched by any other company. We can service both open loop cooling towers and open loop fluid coolers. Our knowledge of closed loop heating systems is unparalleled. We’re a premier inhibited ethylene glycol and ethylene propylene distributor. We offer water treatment for high and low pressure steam boilers. Our staff includes a Master Mechanic, professional engineers, factory authorized service and start up technicians, mechanical engineers and manufacturing representatives.